Please fill out the form below to have the e-book emailed to you. According to Lattice Engines and CSO Insights, 42% of sales reps feel they do not have the right information before making a sales call. When you’re trying to hit your numbers, wasting time on tedious follow-ups and leads that aren’t ready to buy isn’t an option. Wouldn’t it be nice to have a repertoire of handy sales hacks that you could use to nurture your leads, identify the hottest leads for follow-up, and nail those all-important personal conversations? 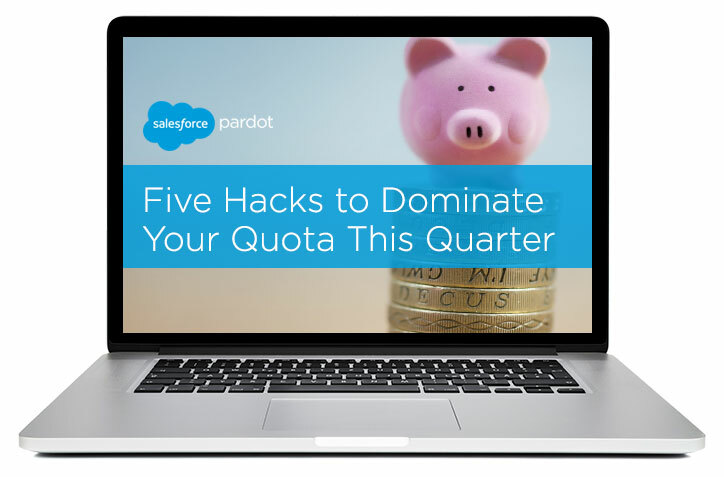 This e-book outlines five different game plans to help sales reps crush their quotas — and discusses how marketing automation can give sales the edge they need to outsell their competition. Check it out today!